Today’s memories of Paris are all about the Eiffel Tower. This iconic symbol of Paris – indeed, of all of France – is recognizable worldwide and celebrated by Francophiles in every nation. 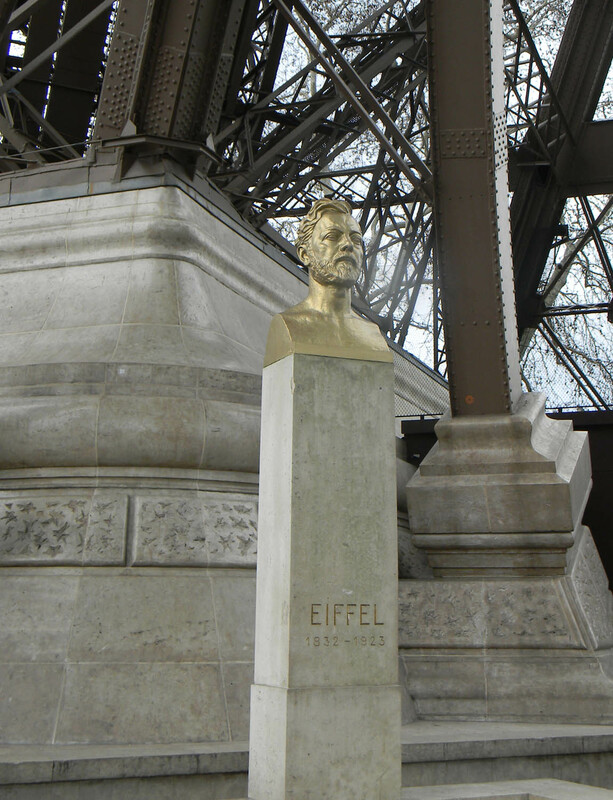 The tower was designed and built by engineer Gustave Eiffel to mark Paris’s hosting of the 1889 World’s Fair. Work on the foundations began in January 1887 and construction continued non-stop for more than two years. Upon its completion, the 1,063-foot-tall (81 stories) tower was the tallest man-made structure in the world, a title it held for 41 years until New York City’s Chrysler Building was completed in 1930. Interestingly, the Eiffel Tower today is deemed taller than the Chrysler Building by 17 feet because of the large antenna installed atop the tower in 1957. All told, the tower contains 18,038 separate pieces of metal joined together by 2.5 million rivets. While today one can hardly imagine Paris without the Eiffel Tower, Parisians mostly despised the structure during its construction and especially upon its completion. In fact, a group of artists, educators and aristocrats formed a group called the “Committee of Three Hundred” that sent a letter to the commissioner for the World’s Fair asking that the tower be torn down before the event. 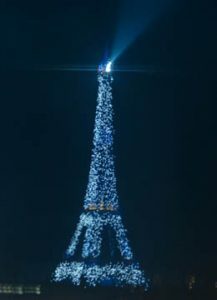 “We, writers, painters, sculptors, architects and passionate devotees of the hitherto untouched beauty of Paris, protest with all our strength, with all our indignation in the name of slighted French taste, against the erection of this useless and monstrous Eiffel Tower,” they wrote. “What do they know?” stated travel guide Samantha Brown in her televised series “Passport to Europe.” Indeed! In fact, the Eiffel Tower was slated to stand only 20 years and then be disassembled, but by the end of World War I, the French had embraced the iconic structure as an enduring symbol of Paris. 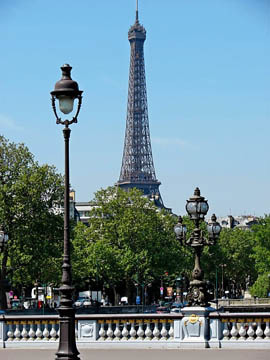 With only minor structural repairs needed over the decades, the Eiffel Tower has stood tall for more than a century. It will celebrate its 125th anniversary in 2014. The tower has three levels for visitors, each reached separately by elevator. 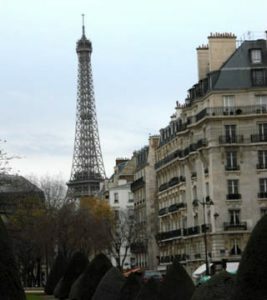 Because Paris is a relatively flat city with few buildings above 10 stories tall, the view from the second level is actually superior to that from the highest observation deck, and as such most visitors stop at level 2. The third level’s upper platform sits at 906 feet above the ground, making it the highest observation deck in Europe. For New Year’s Eve 1999, workers installed more than 20,000 flashing lights on the tower for a “twinkling” light show to usher in the year 2000. Because it proved so popular, the light show has remained a nightly event ever since. Beginning at dusk, the tower twinkles for five minutes on the hour every hour until about 2 a.m. when all illumination is turned off for the day. I’ve been up the tower five times (twice at night, three times during the day), including actually climbing the steps to the second level during my high school French trip in 1985. 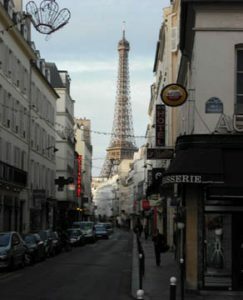 I have literally hundreds of photos taken from the tower and of the tower during my eight trips to the City of Light (several posted below). During my last visit to Paris in November and December 2012, the apartment I rented in the 6th Arrondissement had a fantastic view of the tower, and I could see it twinkling each night from my balcony. And although most people believe otherwise, the tower actually can’t be seen from anywhere in the city. In fact, it’s not visible at all in most places. But when you do have a view of it peeking over Parisian buildings or towering over the Seine River, it’s absolutely magical! 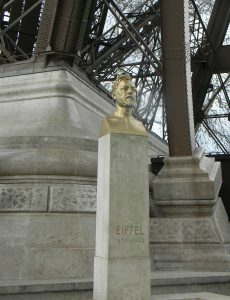 This entry was posted in Eiffel Tower, Sight-seeing and tagged Eiffel Tower, iconic landmarks, sight-seeing by Bob Adams. Bookmark the permalink.